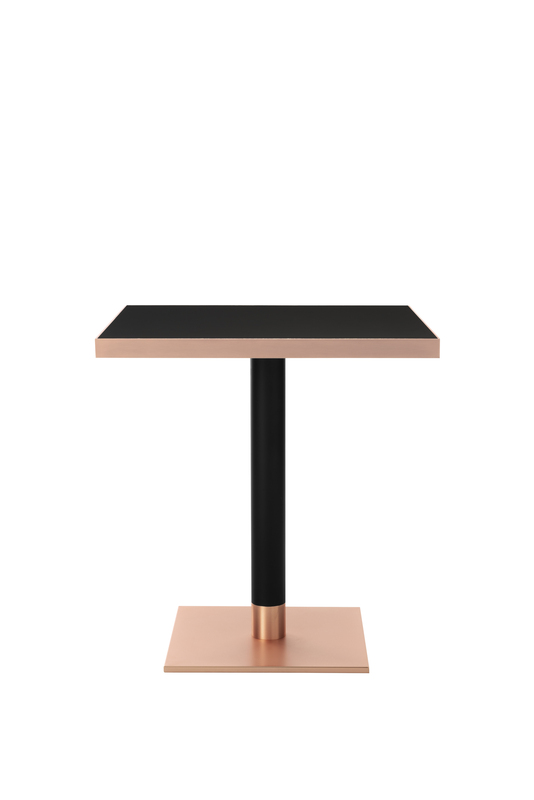 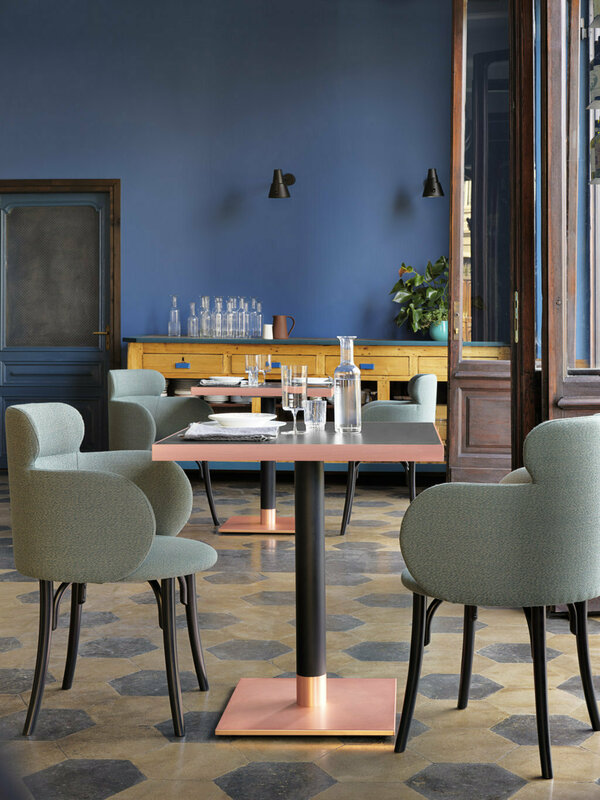 Bar table available in two heights with square metal base in bronze, copper and brass finishes, ideal for elegant contract projects. 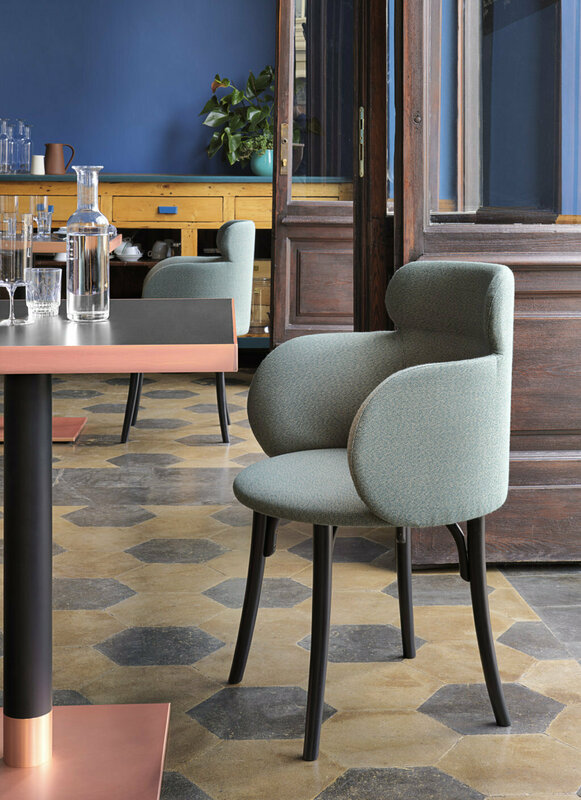 Discreet and refined, it is distinguished by its solid, lacquered wood or black epoxy powder coated metal leg. 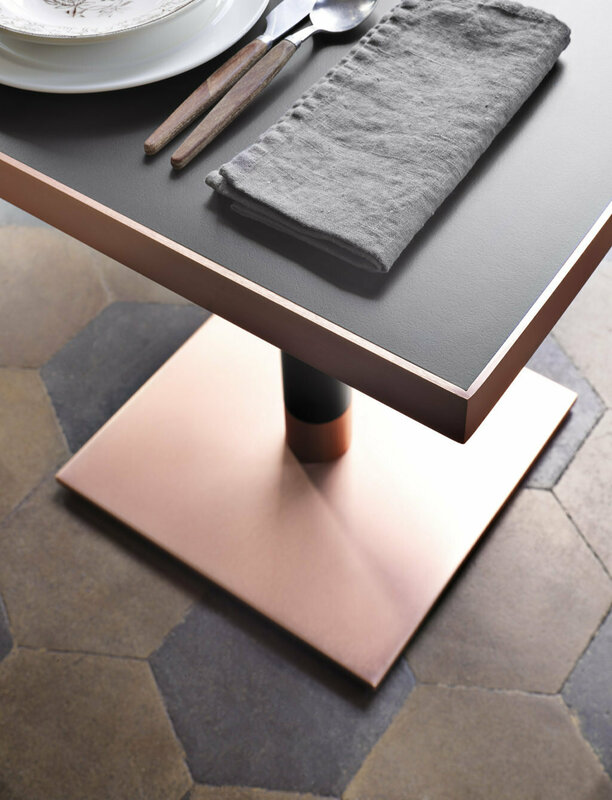 The square top available in marble, laminate, natural beech and stained beech veneer finishes can be enhanced with an edge ring in a finish matching the base.